Analysing the next Surface Pro platforms. Surface Pro 3 is an amazing piece of engineering. Even with the keyboard it’s one of the most powerful self-contained PCs by weight and with 5-6 hours of working battery life, fast storage and a digitizer it doesn’t cut corners. We’d all like to see a full SD card slot and for it to run a little cooler under load but unless you’re really doing a lot of ‘lapping’, it’s a true notebook replacement. Now that the Intel Core M has been launched we have an idea of what’s possible for 2015. Core M or Broadwell-U are highly likely to be in the Surface labs already as Microsoft try to work out where the next super-tablet should be positioned but there are other options too. 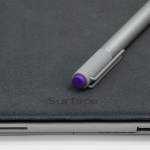 Could Cherry Trail play a part in Surface Pro’s future? Update: The Surface 3 has been launched. Based on a Cherry Trail CPU and 10.8-inch screen. Prices start at $499. See all the details here. Intel Broadwell and Core M architectures bring improvements in efficiency, better Turbo Boost and power control (to allow a reduction in device thickness) if required. There’s a new GPU (Generation 8) and improved support for 4K video workflows. New audio hardware with post-processing capability improves battery life and features. If you want more details, check out my overview and product previews at Ultrabooknews. 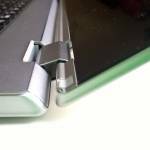 What can Broadwell do for Surface Pro? At best, Core M (AKA Broadwell Y-series) can only match the performance of U-series SoCs found in a Surface Pro 2 and 3 so although it would allow a lighter, fanless design, or a 13.3-inch screen at the same weight, it wouldn’t offer the same long-term performance.Where it might fit is in a 7mm thick 10-inch tablet weighing just over 1 pound, A good design upgrade to the Surface 2 Pro. A true Surface Pro 3 laptop-replacement upgrade, a Surface Pro 4, would need Broadwell-U series but at 15W TDP (rumored) that wouldn’t enable any fanless or lighter designs. A faster GPU, and improved media hardware codecs might be interesting, but not groundbreaking. Surface Pro 4 may have to wait until Skylake, the next generation, available at the end of 2015. The third option would be an updated Surface 2 (an upgrade from the ARM-based Surface 2) based on Cherry Trail where designs could range from 8-inch to 11.6-inches and stay light and fanless. Processing power would not be laptop-class but the improved GPU on this platform could offer some gaming possibilities. The problem here is that ARM-based tablets would compete. Cherry Trail and Windows 8/9 would need to offer significant advantages. If it could, it would fit very well if the Surface Pro 2 was discontinued. It would also clear space for a 7-8-inch Lumia. Windows 9/RT phablet or Surface Mini. Let’s take a look at the available X86 platforms (where only Intel is offering leading-edge technology today) and consider where they might fit across three different types of Surface Pro. 7-8-inch ARM based RT/Phone 9. Could also be a Lumia-branded tablet. 8-inch Cherry Trail (Atom) – Lots of competition. 8-inch Windows segment trending to lower-cost and quality. Update 31 March 2015: The Microsoft Surface 3 was launched. Naming could be difficult here. A Surface Pro 4 would imply better performance than Surface Pro 3. A Surface Pro 2 Plus, or Mini, or Light perhaps? 10-inch Cherry Trail (Atom) – lots of competition at this CPU performance level. 10-inch not ideal for productivity or high mobility but this is a big improvement over the current Surface 2 and leaves Surface Pro 3 as the flagship laptop-replacement. Update: A 10.8-inch Surface 3 with Cherry Trail has been launched. 11.-6 inch Cherry Tail (Atom) – Relatively unique product. Could be very light and fanless (<600 grams) and compete on price in this segment. 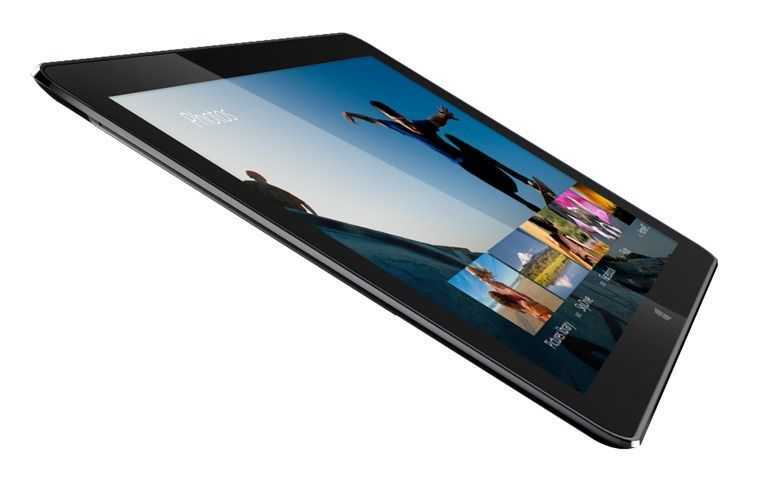 11.6-inch Core M – The first fanless 11.6-inch tablet PC design with laptop performance. Not as much performance as Surface Pro 3 but close, so it might compete unnecessarily. 12.5-inch Core M – Would compete directly with Surface Pro 3. Not expected. 12.5-inch Cherry Trail – Surface Pro 3 Light would not be a laptop replacement but would support the accessory ecosystem of the Pro 3 and serve as a lower-cost Pro 3 and flasgship for light and fanless tablets with good-enough processing power. Would be a flagship Windows 9 product. Weight must be kept to 600 grams / 1.3 pounds. Potential Surface Pro 4 platforms. Given that the Surface Pro 3 appears to be selling well and that it launched in May and is only just available in many countries a replacement would have to wait until at least Q2 2015. Waiting until Q4 2015 would open up options with the next generation Core – Skylake. Here are the options. 13.3-inch Core M – A bigger Surface Pro but with no CPU performance improvement over Surface Pro 3. 13.3-inch Broadwell – Too heavy for a tablet with a 15W TDP Browdwell. 12.5-inch Skylake – A significant performance improvement over current Surface Pro 3. Could offer a fanless version. Not enough is known about the platform at this stage. A showcase feature like borderless screen for 13.3-inches in the same frame size for docking station compatability. Also possible is Wireless Charging. Intel would love to demonstrate Skylakes ‘no-wires’ capability and the Surface Pro 4 would be the best showcase for that. Slight weight improvement. Thinner design will be a marketing requirement. Entry level price slightly less than Surface Pro 3. Surface Pro 3 will go end-of-line. Everything points towards the use of Skylake for a 12.5 – 13.3 inch product later in 2015. That leaves space for one more product. Surface 3 Plus. An entertainment focused hybrid all-in-one with a 15-inch screen. Core M fanless and ground-breakingly light for home and office productivity, education and more. It’s not something interesting for UMPCPortal but it’s an interesting thought. As for a Surface Mini it seems unlikely at this stage. We’ll all have our personal favorites but in terms of broad appeal the 11.6-inch or 12.5-inch Cherry Trail tablet (fanless, very light, lower cost) Surface Pro could be the best option if the Surface 2 and Surface Pro 2 is phased out. It would not directly compete with an existing Surface Pro 3 in terms of performance and could be cheaper, lighter and fanless. In a 12.5 inch version it could be the a Surface Pro 3 ‘lite’ and use existing peripherals. In terms of Surface Pro 3 replacement, it’s a difficult choice and I don’t see any obvious option. Waiting until Q4 2015 might give Microsoft a Skylake (6th generation Core) option. “8-inch Cherry Trail (Atom) – Lots of competition. 8-inch Windows segment trending to lower-cost and quality. That’s unfortunate. That’s the only size range I’d opt for a tablet or non-attaching hybrid. I’d definitely get a “high-end” Atom based Surface Mini though. When screens are 10″+, I stay away from tablets unless it’s a hybrid that has a physically attaching keyboard and adjustable angle (ie. not the MS Surface devices) no matter how light the device is. Chippy – do you think we will ever see a sub 9″ clamshell device (attached keyboard) running Windows? – I still have a Viliv N5 and use it from time to time. I’m a great fan of the clamshell form factor but that market segment seems to have evaporated. Your thoughts – Will we see 7″, 8″ or 9″ clamshells again? But +1 for some small clamshell devices again….. However, given the tablet bandwagon that all the manufacturers are on, I will be surprised if we see them again….or any time soon…. Wish it was different situation…. Maybe the mini Surface if they also offer mini type cover might come fairly close to that but not sure when that would be released. That’d be great. You’d think with all these people getting keyboard attachments for their sub-10″ tablets running any OS that OEMs would come out with a nice out of the box solution be it permanently fixed or detachable (ie. not just a crappy wireless keyboard). Despite the plethora of keyboard accessories for small tablets, most of what I’ve seen are pretty bad. To me, even with the advances in touch hardware and software, touchscreens still haven’t replaced physical input methods and remains more of a supplement. I vote for anything above 12-inch full Windows with Core M. Slim and light, office use, PDF A4 viewing. Stylus would be a bonus. 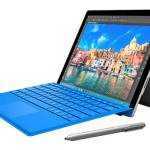 Unless Skylark hits full scale production by August, Surface Pro 3 will carry on throughout 2015 with a Broadwell-U refresh phasing out Haswell starting in spring. I see OEMs filling the Core M based Windows Tablet/2-in-1 consumer space in that $600 to $800 range. With Atom based 10″ Windows available in the $250-400 range, Surface’s best opportunity for Arm is below $250 and premium Cherry Trail in the $400-600. So far only Dell and Lenovo have played in this space with business oriented/marketed products. Acer’s refreshed Switch 10 will have a full HD option targeted at consumers at around $400. Majority of these are 10.1″ devices, which I like in 16:10 aspect. Surface sweet spot might be a 11.6″ 1920×1200 w/digitizer, Cherry Trail that is under 1.3 lbs / $550. I can’t see many people getting Cherry Trail device at $550, unless Apple uses it(won’t happen). It sounds awesome initially, but give it a thought and it makes no sense. Even for Microsoft they can’t get much more than $399. I’d buy a device 8 inches or smaller, with 4gb ram or more, that was fast enough that I could run vmware workstation on. I want handwriting recognition on one operating system, to take notes, productivity… then on the other operating system, I want to run kindle with accessibilty/nvda to listen to ebooks among other things. I know, who wants to run vmware or hyper-v on small devices (except for me?) :) But I love having multiple operating systems. « Acer C270 vs Lenovo N20p Video – These similar Chromebooks are very different.